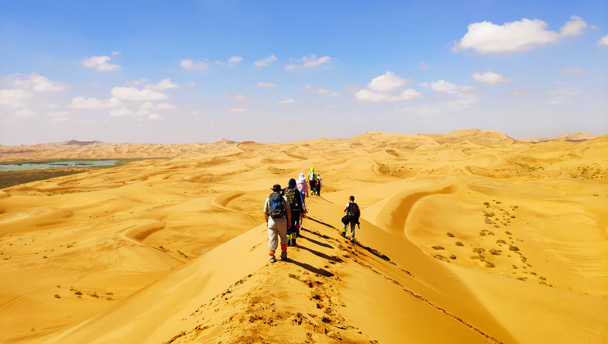 Hiking through the huge dunes of the Tengger Desert in Inner Mongolia. 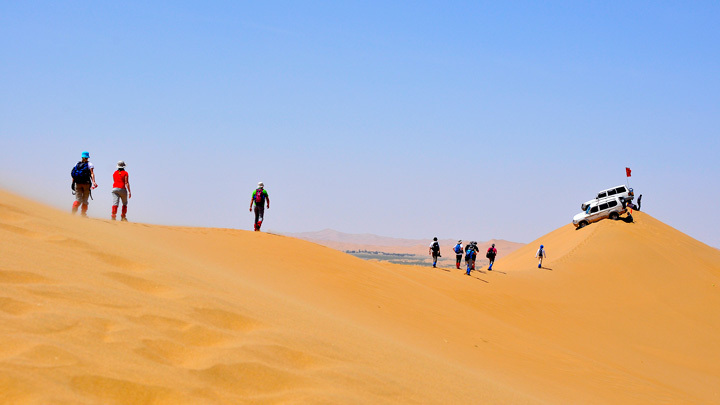 Had to cancel it, sorry—this trip was added last-minute and we didn’t quite get enough people signed up to run it. Historical evidence of human presence in Alashan dates back as far as 6,000 years ago, when the Mandela Mountain Rock Paintings were carved. 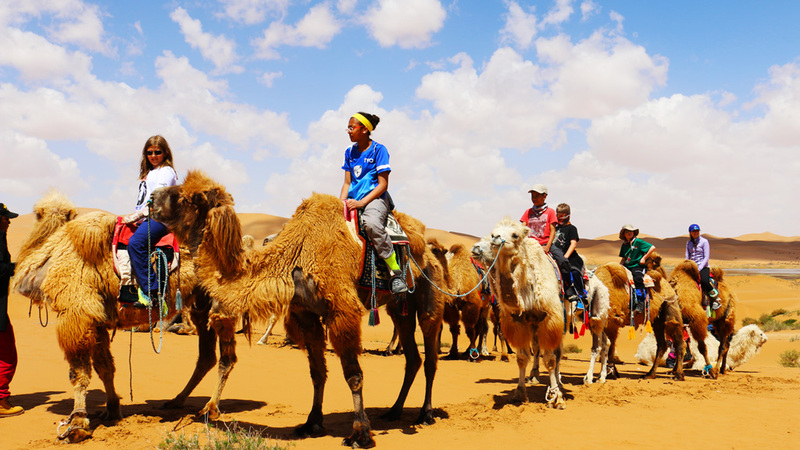 28 ethnic groups including Han, Mongolian and Hui people inhabit this 270,000-square-kilometer (104,247 square miles) land. 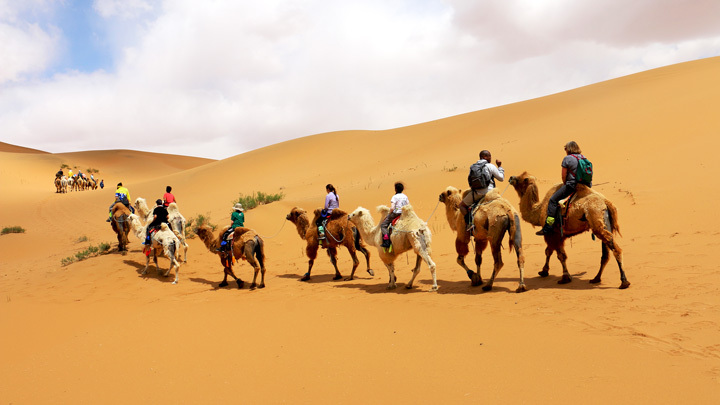 Reputed as the ‘hometown of the camel’, Alashan is abundant in two-humped camels and the down producing goat. 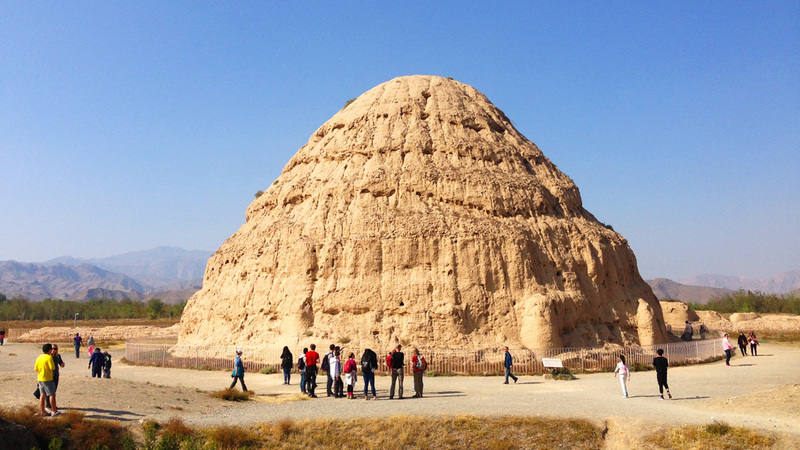 The former were very important as pack animals along the Silk Road. Many of the dunes found in the Tengger Desert are crescent-shaped, formed by winds that mostly blow in the same direction. 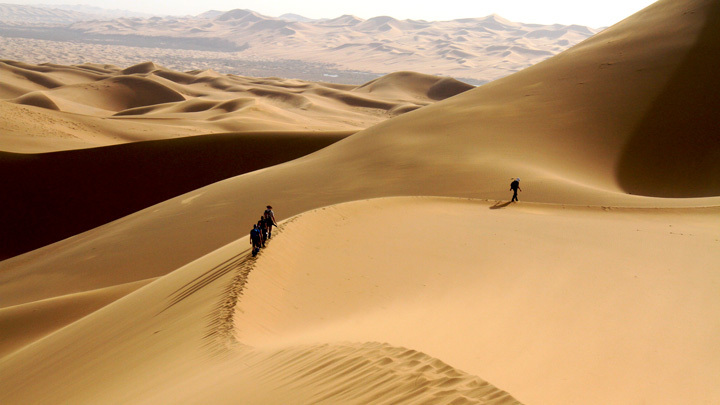 Because of this, the Tengger is China’s fastest moving desert, frequently threatening to bury railway lines as its dunes shift across the land. We’ll get deep into the desert, where it’s sand dunes in every direction, as far as the eye can see—quite a sensation! 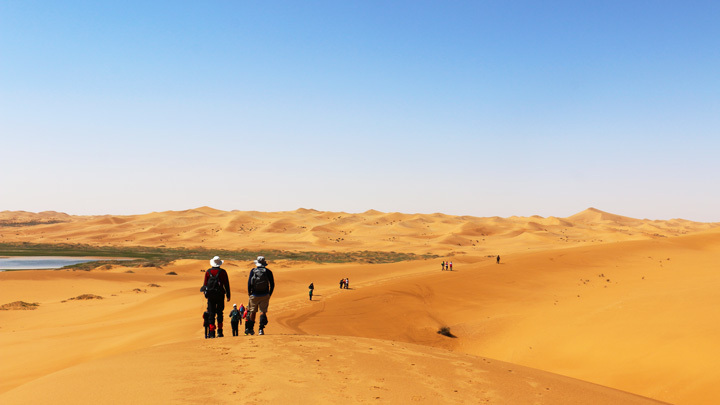 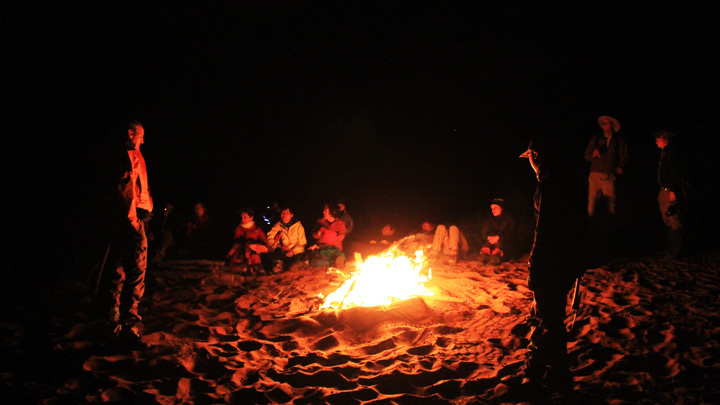 We will spend two nights in the local 5-star hotel, and one night camping in the desert under the stars! 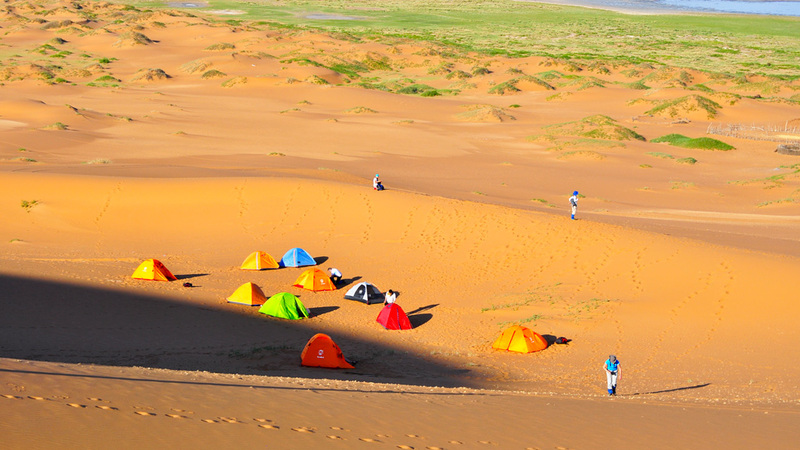 Tents, sleeping bags, sleeping bag liners, and ground mats will be supplied by Beijing Hikers, and we’ll provide one tent per person. You’ll be sharing a room at the hotel with another hiker. If you’d like a hotel room to yourself, it can be arranged at an extra cost of 500 RMB for the two nights in the hotel, if a room is available—usually not a problem!